Cricket clubs in USA with a website for their club can now register with us and earn special discounts for their members by creating a link to our website. We will send out a coupon code for the clubs who are linking to us for additional discounts. If you are a member of a cricket club in USA then let your website administrator know about this offer. We will be happy to create an account for your club and treat you as our elite customer eligible for club level discounts. The special offers will be emailed to the registrant and then they can distribute the coupon code to the members of your club. Join our Elite Club's member program today. What you have to do to be our elite member ? 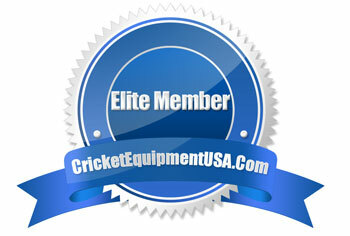 All you have to do is first register then place a link from your website to ours, after doing so then please email us the link url at info@cricketequipmentusa.com, from your site to ours along with the registered customer name so we can email you the coupon code for the club which can be shared among all the members for unlimited use. We will also send free gifts to clubs which perform well in the domestic competitions. We look forward to developing a healthy working relationship with your club. Please feel free to share this information with your club officials and become our elite member. You can use the following graphic image to link to our website.